"The Ultimate Waterproof Swim Audio Gear"
End the boredom of lap swimming or just enjoy the novelty of hearing music, audio books, talk, sports, news, in the water, on the beach, while surfing, skiing, sailing, showering, outdoors walking, running, any activity! 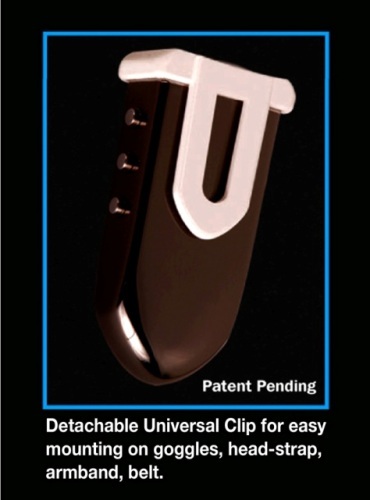 This micro-sized entertainer clips onto goggles or fastens onto headband, armband, swimsuit or belt for swim-anywhere, go-anywhere listening pleasure. At merely 1 Ounce, you won't even notice it's there! Uniquely engineered Chrome polished case and stainless steel controls (adopted from Swiss watch makers) are 100% waterproof. 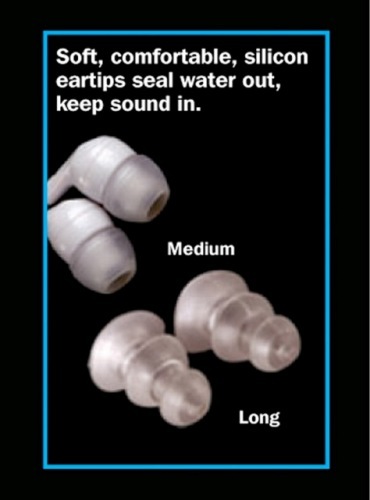 Ergonomically-designed extra-soft ear tips, engineered not to fall out, seal water out and keep pure sound in. 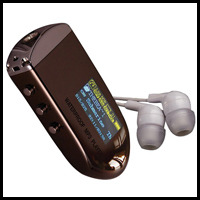 In addition to MP3 Player, The Tempo G2 includes digital FM tuner with superb reception indoors & outdoors worldwide, plus a special format for audio books.We also installed a stand out High-Resolution 27mm color display for easy navigation. 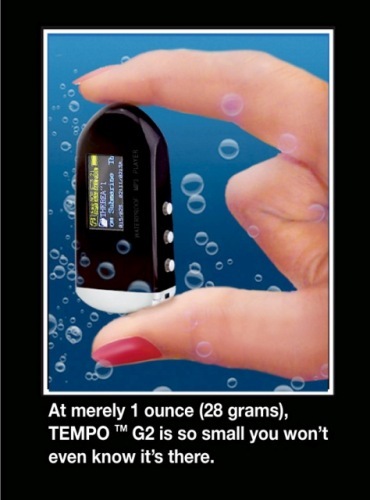 If waterproof audio is important to your lifestyle - you must try the Tempo G2. You'll be pleased you did! Our Waterproof Audio Technologies were featured in the New York Times, LA Times, Men’s Health (Europe), Swim World, Fitness Swimmer, Triathlete Magazine, and were also endorsed by the US National Sporting Goods Association. The TempoG2 was replaced by the enhanced 8GB UwaterK8 100% waterproof Action MP3/FM/PLL Player. 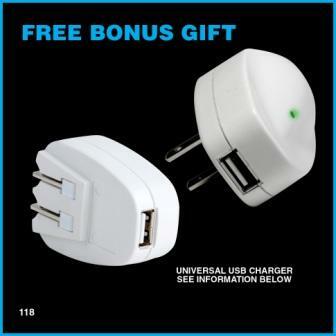 Check our UWATERK8 product for additional information as well as for FREE BONUS GIFTS!!! Play Time: 7 HRS (MP3), 8 HRS (FM) on a single quick charge! High Resolution 27mm Color Display, visible in any water environment. Supports 10 languages: English, Spanish, French,Portuguese, Italian, German, Dutch, Japanese, Korean, Chinese. Seven (7) Play/Replay modes including Tempo setting. Digital FM tuning (manual,auto,recall stations).